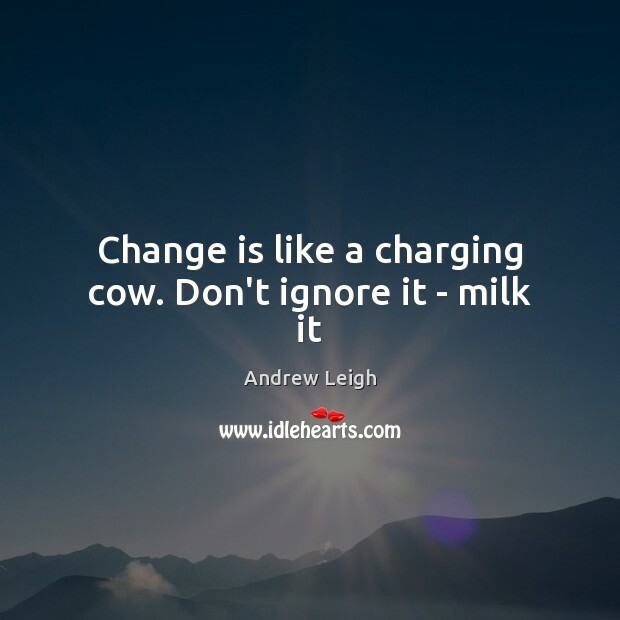 Enjoy the best inspirational, motivational, positive, funny and famous quotes by Andrew Leigh. Use words and picture quotations to push forward and inspire you keep going in life! 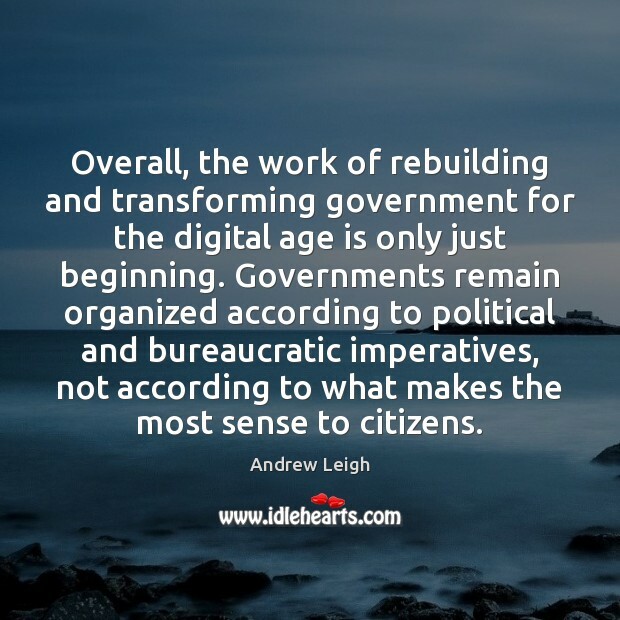 Overall, the work of rebuilding and transforming government for the digital age is only just beginning. Governments remain organized according to political and bureaucratic imperatives, not according to what makes the most sense to citizens. 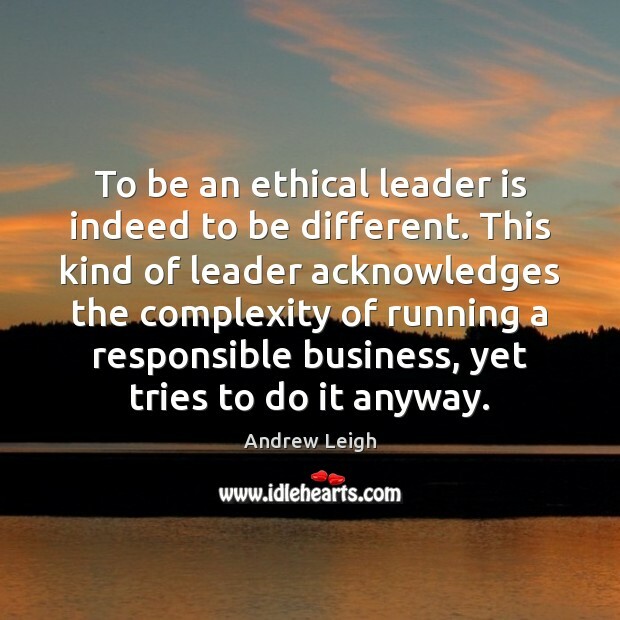 To be an ethical leader is indeed to be different. This kind of leader acknowledges the complexity of running a responsible business, yet tries to do it anyway.